The PKI 5805 is a fully fledged video camera which, besides a resolution of up to 1600 x 1200 pixels, also provides a highly sensitive microphone for top sound. The photographic function allows snapshots of topmost quality. 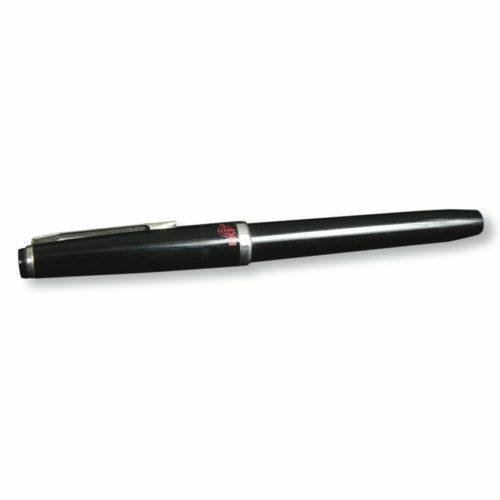 Video recording of up to 110 minutes, audio recording of up to 9.5 h or up to 4000 photos can be directly stored on the pen. A radio transmission version is also available. The contents is read out via USB interface. A time stamp of the recorded data is available. The photos, videos or sounds can be viewed using standard media software (Media Player, Quicktime, etc.). Carried in a shirt pocket, this surveillance camera is indistinguishable from a conventional pen. Writing is of course also possible with it. The inserted pen refill is exchangeable. As high-end version (top image quality) also with a wireless remote control. Option In this version, confirmation of the individual commands (recording start-stop, snapshot, on-off) is controlled via vibration pulses of the remote control.